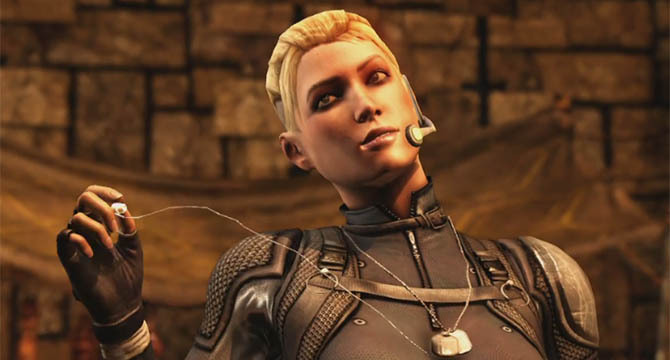 Cassie Cage makes her debut to the Mortal Kombat series in MKX. 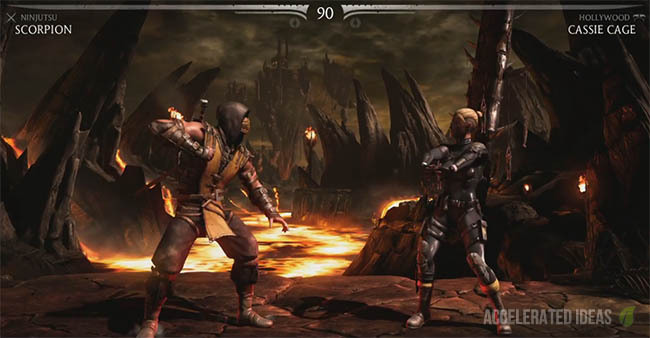 She's the daughter of the two classic characters: Johnny Cage and Sonya Cage, both of whom are also included in MKX. Cassie is a fast character that's able to use her sidearm as a weapon and call in missile attacks in certain variations. Taking after her father Johnny, Cassie Cage is an overly confident and cocky opponent. For the most part these dispositions raise their head during her pre-match dialogue with other characters, but it's during her fatality moves and in certain signature variations that we see the best of Cassie. One such example is The American Way special move from the Spec Ops variation, which is nothing more than a taunt to distract and annoy the player rather than cause any damage. Her core moves consist of a lightning fast gun shot which is almost unblockable and two signature kick moves. The first of these kicks is called the Glow Kick whereby Cassie swoops up into the air and back down again, forming a humpback shape in the air. This move is an obvious combo move because it covers a good proportion of the screen. The second kick is more of a defensive move that causes Cassie to backflip away from the opponent rather than towards them. Fire a single bullet from her gun. A lightning fast projectile which causes slight damage. A swooping upwards kick that can be combined with a downward kick for range. A backwards flip-kick which leaves a glowing green trail behind it. 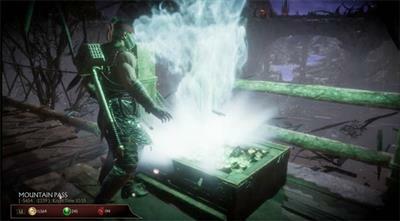 The chauvinistic variation gives Cassie a similar Nut Cracker move to Johnny Cage and also air gunshots. Double gun shot from midair. In the enhanced version she fires two shots in the air and one on the ground, giving the opponent little room to escape. Cassie does the splits whilst punching the opponent in the groin. The enhanced version gives you a double punch. A melee variation of the character which gains several close range special moves. Cassie tackles the opponent to the floor and then punches them in the face. An air throw where Cassie grabs the opponent in midair, somersaults with them and then smashes them into the ground. A close range move where Cassie grabs the opponent's arm and forces it in the wrong direction - snapping the arm. Then throws the opponent over her shoulder, thus reversing player positions. Cassie gains a missile attack and a unique taunt. This is the variation to choose if you really want to rub salt into the wound of an annoying opponent. A missile projectile comes down from above, exploding on top of the opponent. The enhanced version uses a homing missile which tracks the opponent. A taunt special move that inflicts no damage. Cassie salutes the other player. From long range, Cassie shoots the opponent in both feet, making them fall to their knees. She then shoots them in the forehead before patching the bullet hole with her bubble gum. Cassie takes the other player down using the Take Down move and then punches their head repeatedly until it disintegrates.